Did you recently use the new Windows 8 Consumer Preview on a tablet and decided to become a developer for Windows 8? Well, you must then know that you’d need a Windows 8 tablet to develop apps for the device. Here’s a neat little app that will let you run the Windows 8 Metro UI on your lovely Apple iPad and also let you develop apps! 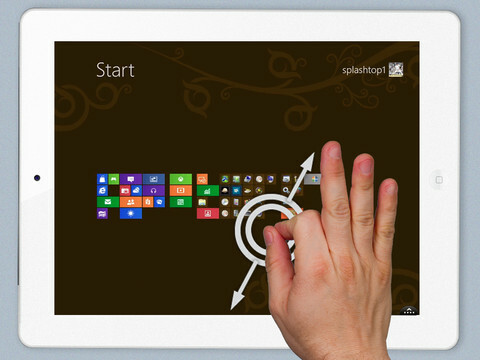 Win8 Metro Testbed app for the Apple iPad is developed by Splashtop, a well known company that have developed many such useful apps. With the help of this app, you can use all of Windows 8 gestures, play with the different UI, swipe and tap at things and develop Metro based apps for future use. However, you will need to have a Windows PC nearby, to stream all of that into your iPad. 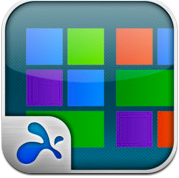 Yup, this is a remote desktop app, something similar to OnLive Desktop app. And many more gestures for you to explore! All this doesn’t come cheap. Hence, if you were looking for a way to develop Windows 8 Metro apps, or just randomly enjoy the Metro UI on your iPad, then this is the app that you need to buy. You’ll need to spend $25, which is not cheap for a remote desktop app, so decide what you want to do!